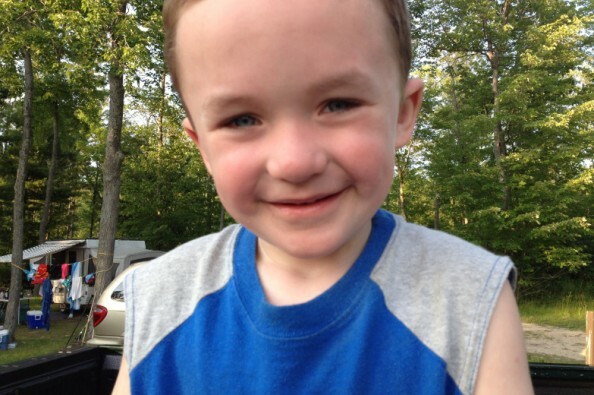 My 3 year old nephew Westley was recently diagnosed with NF, Neurofibromatosis. NF can cause tumors to grow on nerves and cysts on bones. Anywhere and on any organ system in the body. Through a routine eye exam, they found a tumor growing on his optic nerve, causing some vision loss and possibly more in the future. Now 3 year old nephew Westley must go through 18 months of chemotherapy. He will have a port placed in his chest and receive treatment 4 weeks out of every 6 weeks. He has twin, almost 1 year old brothers cheering him on. The cost of gas alone to get him to and from the apointments quickly adds up, along with other related expenses. His parents are supporting Westley in everyway possible, so lets get together and support his parents. If you unable to donate, could you please share his story and pass this along. God bless you and lets pray for and help Westley and his family! Oh my gosh! I am truely praying for the best! Love you guys & stay strong little man! Get well little dude. I'll be praying for ya!